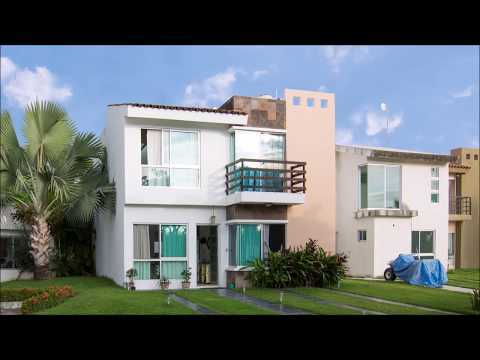 Casa La Fronda 1 is a nice 3 bedroom 3 bath home located in the La Fronda Development. It features a media room (which can be converted to a 4th bedroom), a modern kitchen, dining room and spacious living areas, as well as a large patio and back yard, luxury finishes and a 2 ton air conditioner. The La Fronda residential development is situated in front of Plaza Lago Real in Nuevo Vallarta with many amenities such as controlled access, large club house with semi-Olympic pool, gym, children’s play area, basketball court, visitor parking, electric fences and lots of green area. The house is move in ready at just $2,800,000 pesos (about $155,000 USD).